It used to be that if you wanted the security of 24/7 professional home monitoring, you’d have to sign up for service. Not anymore. With Samsung’s SmartThings Home Monitoring Kit , you can pay for only those months you need it. Say, when you’re going on vacation or heading out of town for the holidays. Samsung's new partnership with Scout Alarm brings monitoring services that used to be really expensive and difficult to install to renters and people who want a less frustrating and intrusive experience. 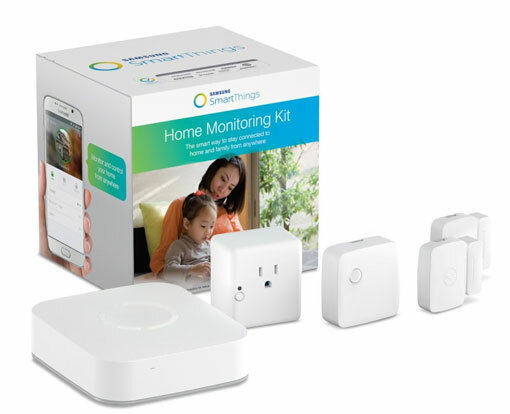 Do-it-yourself Samsung SmartThings Home Monitoring Kit includes a motion sensor, two multipurpose sensors (that could tell if a door was opened), a SmartThings Outlet (that could control a lamp) and a hub to connect everything to the Internet and your smartphone. You can also add compatible cameras and locks—and not just from Samsung. The platform is already connected with big names like Kwikset (locks), Bose (wireless sound systems) and Honeywell (thermostats). Scout Alarm's professional monitoring plan couples the SmartThings platform with someone watching your pad 24/7; if the sensors pick up signs of someone who shouldn't be there, the company will call the police to respond. 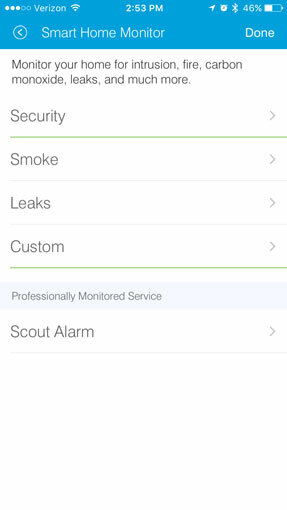 Scout's professional monitoring plan is $19.99 per month, and is currently available in a beta trial. There's no contract involved either, so if you don't like it or just want to use it while you’re traveling, you can cancel without those pesky termination fees. And for now you can try it out with the purchase of the Samsung SmartThings Home Monitoring kit ($249.00 on Amazon).